Liberal Bohemian: False Flag USA, Rosenberg's and Coca-Cola. March 29th, a crazy day for justice. On this day in 1682, a great fire erupted in Edo (now Tokyo), forcing Yaoya Oshichi, a 16 year-old girl and her family from their home. They ran to the temple where our heroine meets Ikuta Shonosuke, a temple page with whom she soon fell in love with. Sady, though, the romance ended after the family found a new home and left the shelter. So upset was young Yaoya, that she did what any broken-hearted girl would do: she torched her own home in hopes of returning to the temple to see her lover again. The penalty for arson in Japan at the time was burning at the stake, but only those above the age 15 could be executed. The judge wanted to spare the girls life, and so said, "You must be fifteen years old, right?" The frightened Yaoya gave her true age. 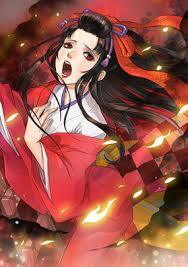 And so on this day in 1683 the girl who couldn't tell a lie was consumed by flames. In an interesting coincidence, on this day in 1940 Japan established its own government in conquered Nankin, the former capital of Nationalist China. 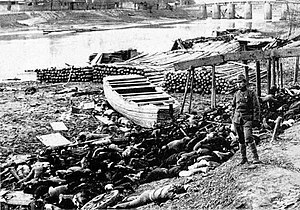 In 1937, Japan drummed up a rationale for war against China by claiming China was responsible for the bombing of one of their trains. Yes, a False-Flag explosion to justify their invasion. The move went so well, others took note, most notably the USA War Machine who was chomping to get into the second world war so allowed the Japanese to invade Pearl Harbor. It is common knowledge today that Roosevelt knew it was happening and so had all our aircraft carriers and other key war vessels moved safely out to sea away from the attack. This False-Flag ploy would be used again by the USA for the Vietnam Conflict by claiming the Vietnamese were responsible for torpedo damage to one of our ships in the the Gulf of Tonkin. That worked so well, President George Bush decided to use it in composing his demolition of the World Trade Towers like castles in the sand in the September 11 attack that led to the Iraq Invasion. Finally, on this day in 1951, one of the most sensational trials in American history, Julius and Ethel Rosenberg were convicted of espionage for their role in passing stick-figure drawings of a nuclear bomb to the Soviets. Truth is, the Rosenberg's were used as an example and warning to the Left Leaning people of the US to get in line and shut up. 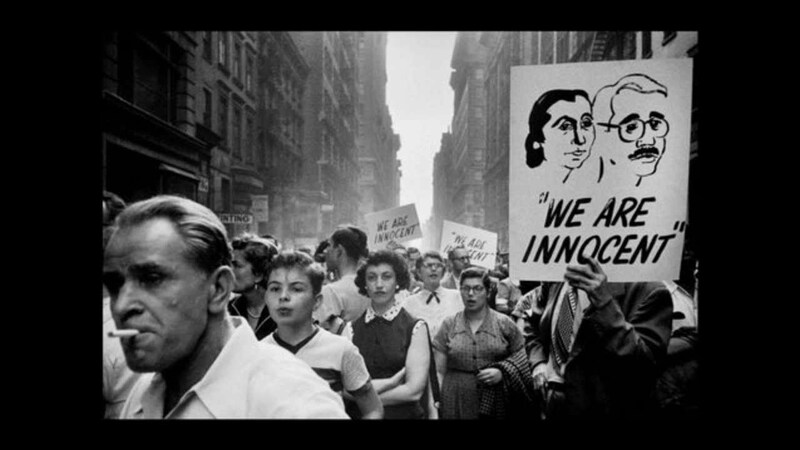 From Eisenhower down to the prison guard bringing them bread-and-water, the Rosenberg's were told all they had to do was admit they did it and they wouldn't be executed -- just paraded through Dallas in Jester clothing. They wouldn't. And that "liberal" stubbornness really pissed off conservative's of the day, and so, they were executed by the electric chair -- after several tries. Conversely, just has 50's TV wanted you to believe your mom and dad slept in different beds, the press wanted you to believe there were no dissenting voices in the USA and so the thousands of protestors who came out in support of the Rosenberg's was kept out of the newspapers. 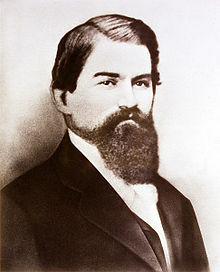 There is some good news for this day back in 1885 for Dr. John Pemberton brewed up his first batch of his "brain tonic and intellectual beverage" called Coca-Cola. And yes boys and girls, it was loaded with the real stuff: cocaine. 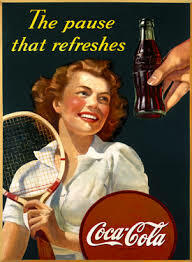 Coca-Cola (Coke) had cocaine in it, in varying amounts, from 1886 – 1929. At the time cocaine was legal and treated as a medicine. Coca-Cola didn’t invent using the coca plant in drinkable products (coca wine was also popular), it’s just the one product with its history and name firmly rooted in it. In short, Coke used to have coke in it.